Tabatha got sick and died. She had lived in Joppa and was a generous person who made clothes for widows. A widow is a woman whose husband has died. Most of the time, being a widow means not having enough and becoming poor. This was especially true two thousand years ago when Tabatha lived. Peter agreed. Upon arrival, he was taken upstairs to where Tabatha’s body lie on a bed. There, he met all the widows who were crying. They showed him the garments Tabatha had made for them. “She was a giving person. 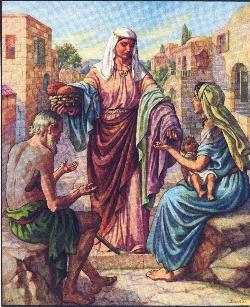 She made us these cloaks, robes, and other clothes because she was kind and generous.” Many tears were spent. An amazing thing happened, she opened her eyes. She sat up and Peter took her hand and helped her to her feet. Then he called the others and presented her alive. Peter was just the instrument to make Tabatha whole again. The Lord is the creator and giver of life. 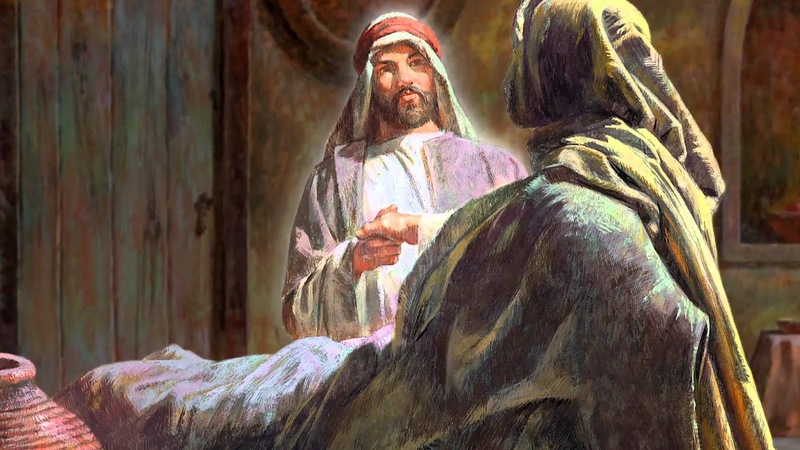 Many people heard of this miracle and knew this was from God and believed in the Lord. What do you think Tabatha did after that? I believe she rejoiced in the Lord. She probably had a renewed zeal to make more things for others. I would think she told everyone about the Lord. She was probably a sweet lady before she died, but I bet she became more so. Can you imagine what she would have been like? The Lord loves a cheerful giver. We should be generous with what the Lord gives us. Thanksgiving Day is in a short time. That’s a time to give thanks to others and the Lord. Thanksgiving and Christmas is a time to give of your time and possessions to others. Deuteronomy 15: 11 For the poor will never cease from the land: therefore I command you saying, ‘You shall open your hand wide to your brother, to your poor and your needy, in your land. Acts 20:35c …It is more blessed to give than receive. What a great story from the Bible.